When I was five, my sister spotted some American Coots in a lake and asked why some birds have lots of colors and others didn't. My dad gave us our first lesson in bio-diversity and later showed us a field guide to North American birds. I found this guide very interesting and from that time forward I was hooked. At the end of the year in kindergarten, I gave my first talk about birds. That was eight years ago. When I was nine I borrowed my dad's camera to take some bird photos and he encouraged me to photograph all the different species that came to our garden. I found 41 species. That was the beginning of my interest in bird and wildlife photography. In 2012, my dad took me to Canada to find Snowy Owls. We found about 21 at Boundary Bay. One of these Snowy Owl photos won the TIME for Kids 2012 Earth Day photo competition. I always notice birds and quite often my dad and I go on trips to photograph them, both trips to near-by parks and to further destinations. We have gone pelagic birding, birding in the Cascade Mountains, birding in the Mojave Dessert, birding along the Pacific coasts and many trips to eastern Washington, which is a great place to see migrating Sanhill Cranes (see video clips). This summer I was able to take a trip to the Rocky Mountains as part of a Summer Camp organized by the American Birding Association, which was a really fantastic experience. 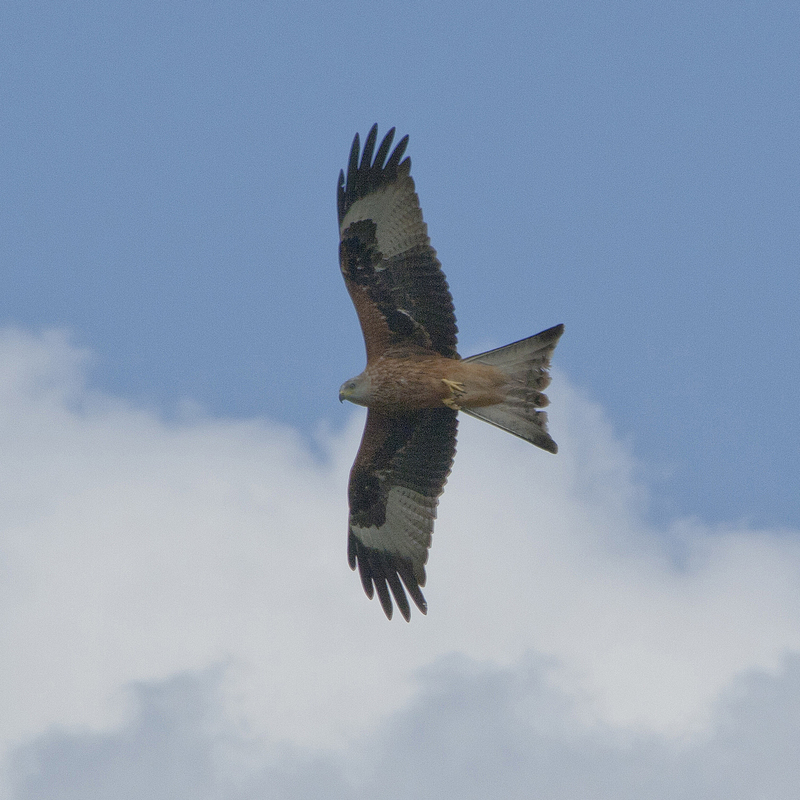 And recently, I also was able to do some birding in England while on vacation. Where is your favorite local place to go birding? It is hard to say I have a ''favorite'' place to go birding, but we often go to Umtanum Creek Recreation Area. 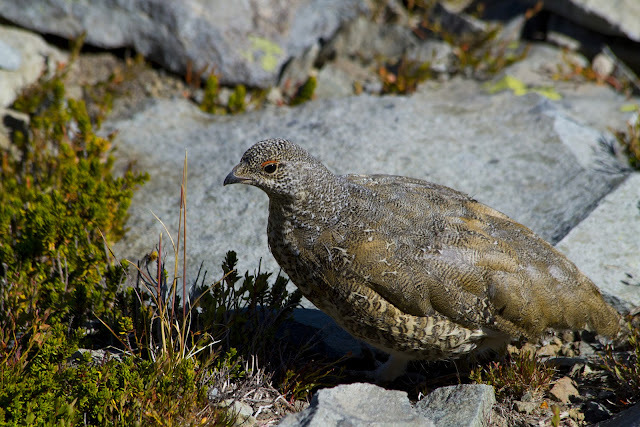 This place has rugged terrain, steep cliffs, and attracts a large variety of interesting birds including Lazuli buntings, Yellow-breasted Chats, and low-flying Northern Harriers. My most exotic and one of the coolest trips to date was probably my pelagic birding trip from Westport Washington to Gray’s Canyon. On this trip I saw Black-footed Albatross, a variety of Shearwaters, Storm-Petrels, Phalaropes, and even Tufted Puffins. I also got to see whales, sharks, sunfish, dolphins, and sea lions. 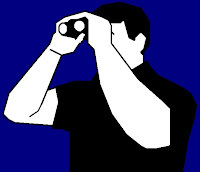 I rarely use binoculars because I am almost always carrying a camera with a zoom lens when I’m out birding. I started out using a Canon Rebel xti with a 300mm lens, and now use a Canon 7D with a 400mm lens. 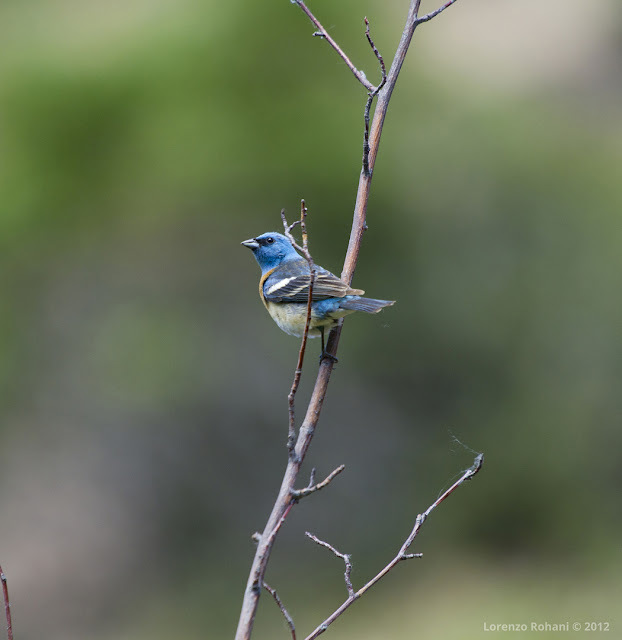 Photographs are the only way I have been documenting my birding experiences. It allows me to review what I've seen and make more accurate bird identifications. It is always interesting to spot a new species, especially if we have been searching for it for a long time. My dad and I went up to Mount Rainier hoping to find Mountain Bluebirds, which up till then we had been unable to find. Along the Fremont Trail we asked some volunteer rangers if they had ever seen any up there. "No, not at this elevation," we were told, then about 100 meters down the trail we spotted a flock. That was really nice coming as it did after giving up hope that day. Although I didn't get very good photos of the Mountain Bluebirds that day. But later I got another chance in Colorado. Possibly the most interesting year-around yard bird is the Red-breasted Nuthatch, simply because it is so seemingly indifferent to gravity when it perches—upside down, sideways, doesn’t seem to care. But the rare visits of Pileated Woodpeckers or Cooper’s hawks are of course, really nice. And this year, Northern Flickers created a nest cavity in one of our trees and produced five fledglings. We were able to capture different stages from the time the Flickers started creating the nest cavity to the time the chicks fledged. For local range information, I use BirdWeb.org (Seattle Audubon's Guide to the Birds of Washington State). For news about sightings I use the Tweeter's List and eBird.org. For science I use the Cornell Lab of Ornithology. I also use Flickr.com to post and share bird photos with other bird photographers around the world. For reference and identification, I usually use the Sibley guides. I'm a member of the Audubon Society and the American Birding Association. If I have a mission as a birder, it would be to use my bird photography to encourage people to make their yards more wildlife friendly and to do more to protect wildlife. Other birding endeavors you are involved with? In 2012, my dad helped me put together A Kid’s Guide to Birding. 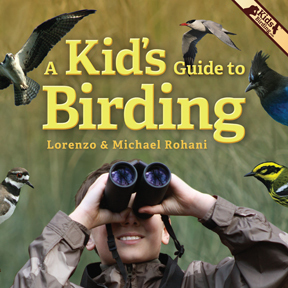 This is a book that explains birding for kids, what makes a good birder, how to recognize and identify birds, how to attract birds to your yard, and places to visit to find different kinds of birds. The book features over 300 of my photos (see samples below) and more than 175 bird species from a wide range of habitats. It has some of my best photos, including some of my Snowy Owls photos. Birder Profile is a blog segment at BirdingIsFun.com spotlighting a fellow birder. If you would be interested in sharing a little about yourself and your birding experiences, please send me an email. Is there a birder you'd like to see featured? Please nominate that person by sending me an e-mail too. Enthusiasm for birding is the only prerequisite! Un buen futuro. Un saludo desde Murcia. It's good to see the young generation showing interest in birding. 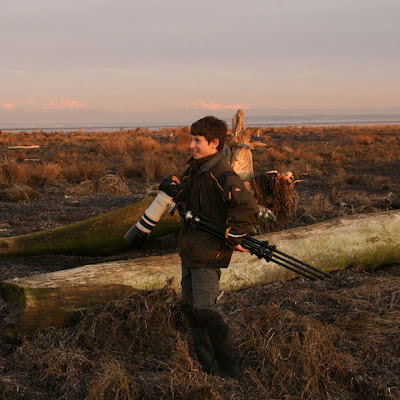 Lorenzo's photos and videos are great and the fact that he managed to put together a birding guede for kids at such a young age is very impressive. I am a first grade teacher in Seattle and our class is studying birds. We are learning so much from your book and your videos. We would love to invite you to our school. Thanks so much for helping kids get excited about birding!